The first half of 2017 has witnessed significant global changes in the way we approach Research, particularly when it comes to equity research in light of the advent of MiFID II and the increasing importance of passive and index-related funds. At EFG Hermes Research, we’re taking a proactive approach to these changes as we transform ourselves from a MENA-specific research house to one focusing on frontier and emerging markets. Given the extensive crossover in research, our decision to make this shift stems from a desire to offer clients one-stop research solutions for emerging and frontier markets. This year, EFG Hermes opened offices in Karachi, Pakistan and Nairobi, Kenya. We’re excited to have an established presence in these non-transparent markets where quality, on-the-ground research is in high demand. Right now, we’re in the process of hiring a team of highly experienced frontier-based analysts, as we plan to cover an additional 150 stocks in the next 9 months. 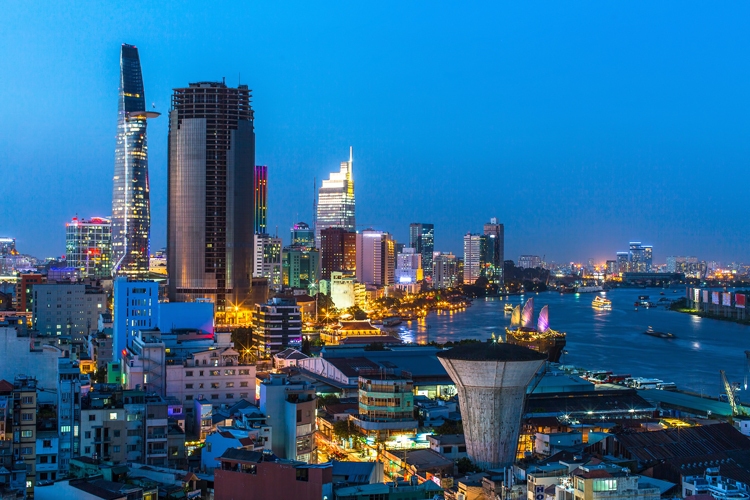 We have already initiated coverage of 11 Vietnamese banks and introduced economic analysis on frontier markets, including Pakistan and Kenya bringing our total number of regional equities covered up to an all-time high of 170, equivalent to nearly 63% of market capitalisation. With investor interest in frontier markets on the rise, we hope to begin offering coverage in additional fast-growing markets like Bangladesh, Sri Lanka, Nigeria, Tanzania, Uganda, Zambia, Mauritius, Zimbabwe, Botswana, and Ghana within the next year. While we are taking steps to become a research firm with global research, we are also doubling down on the focus of our core coverage of the MENA region. In 2017, we’re pushing to expand our small and mid-cap coverage in order to provide our clients with new insights into under-research and overlooked stocks. We now cover c. 30 of these stocks in Egypt and Saudi Arabia and are excited to see this number continue to grow. In Saudi Arabia in particular, we’re seeking to increase the number of resources available in preparation for the country earning MSCI and FTSE EM status next year. Another key step we’ve taken to improve the breadth of our MENA coverage this year is to launch a new bilingual English-Arabic retail-specific product for local investors that makes dense financial research easy for clients to understand. The information is presented in a way that is brief and to the point, so investors can make informed investment decisions. Additionally, our strategy team keeps clients up to date on major market developments through our daily summaries of markets and stock performance in the MENA region. I’m excited about the changes taking place at EFG Hermes Research in 2017 as we continue striving to provide the highest quality service to all of our clients and to increase our coverage across the globe. We are very pleased that our ability to forecast market trends and investor preferences has been well-received among our clients who voted to rank us first in the 2017 Institutional Investor EMEA Survey and runners-up in the Thomson Reuters Extel Survey of Emerging Markets research houses.